A power of attorney can be a useful legal device that allows you to transfer power over your financial or health care matters to another person, who is known as your agent or attorney in fact. In this arrangement, you are known as the principal. The agent does not have to be a lawyer, and is usually a relative, spouse, or close friend. 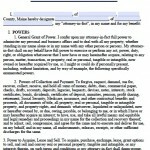 A power of attorney is simple to create. 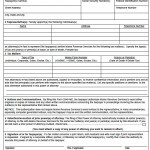 In Maine, you must obtain the form, decide whom to name as your agent, fill out the form, and have two witnesses sign it. You should also have the document notarized and filed with the Registry of Deeds. If a resident has any questions about this type of legal representation/arrangement he or she may call the Elderly Hotline (free) at 1-800-750-5353 or may read the Maine Uniform Power of Attorney Act.